The benefits of coconut oil are astounding! Coconut oil has been used for centuries to treat a wide variety of health and wellness issues, as well as using coconut oil for cooking. This amazing healing fruit and its oil are at the forefront of natural alternatives recommended by herbalists and naturopathic doctors alike. Coconut oil for weight loss is probably the most well known use of this oil. However, its benefits are much farther reaching than just weight loss as it can also be used for improving your health and the health of your pets as well. But there is one way coconut oil can be used that most people are not aware of and that is how to use coconut oil for hair issues and the general overall health of your hair. 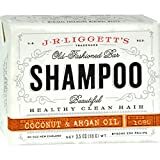 Studies show that coconut oil has been proven to be the only oil that can actually reduce protein loss in both damaged and undamaged hair alike, when it is used before and after washing hair. This is because, coconut oil is a triglyceride made up of lauric acid and due to its low molecular weight and straight linear chain, it can easily get into the hair shaft whereas other oils can’t therefore the results don’t apply. Coconut oil can be used in a wide variety of ways to improve your hair and your scalp. Coconut oil is rich in vitamins, minerals and other powerful nutrients that will help your hair grow strong and give it a healthy shine. Using coconut oil for hair does require a little time. The longer you leave the coconut oil on your head and in your hair, the more effective the treatments will be. Coconut oil is great as a deep conditioner that will help prevent breakage, split ends and the damage caused by combing and brushing. Method – You will need to wash your hair then let it dry. Melt a small scoop of coconut oil in a bowl, then gently massage the oil into the hair with your fingers. Next you will need to wrap your hair in a shower cap or towel and let it sit for at least 30 minutes; however, the longer the better. You will then wash your hair with shampoo and reapply a very small amount of coconut oil throughout your hair. And just remember, a little goes a long way. Now you can finish styling your hair as usual. Coconut oil can be used to help your hair grow longer, thicker and much faster than it would without it. When coconut oil is massaged into your scalp, it drastically improves blood circulation and this will ultimately help your hair grow and grow more quickly. Method – Take about one teaspoon of coconut oil and gently massage it into your scalp with even pressure for 10 minutes about three or four times per week. You can also add four drops of rosemary essential oil to the coconut oil for better results. Then place a shower cap or towel on your head for 30 minutes to two hours or overnight. If you have a dry, flaky, itchy scalp that is producing dandruff, you can use coconut oil to help get rid of it. Method – Melt a small scoop of coconut oil, then take your fingers and gently massage the coconut oil into your scalp from your neck to your forehead and behind your ears. Then wrap your head in a shower cap or towel and leave it in overnight. In the morning, you can wash your hair with a gentle shampoo. You should try to do this about two to three times per week. Coconut oil makes for a great natural styling product as it doesn’t contain any dangerous chemicals like conventional products do. The daily styling of your hair causes the shafts of your hair to become brittle, tangle and break. But the coconut oil will help prevent all that. Especially if you have frizzy hair or live in a humid climate. Method – Take approximately one teaspoon (depending on the length of your hair) and warm it between your palms, then smooth it into your hair from root to tip and you can add a little extra to the ends to help keep the split ends under control. Using coconut oil on your hair and scalp may be the best thing that ever happened to your hair. Whether you have issues with your hair or not, using coconut oil for hair is a great way to keep your hair healthy and shiny for life.